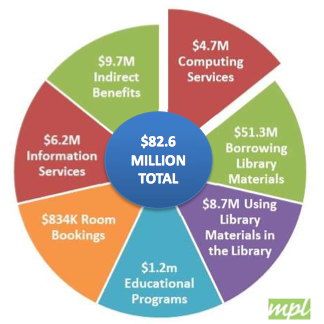 Markham Public Library’s total economic impact is estimated at $82.6 million annually (2016$). Every dollar invested in Markham PL generates $5.97 of value. Access the full study at the Markham Public Library website.